Formulate integrated economic, social, physical, and other development plans and for consideration of the Provincial Development Council. Conduct continuing studies, researches and training programs for implementation. 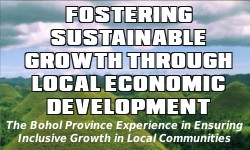 Prepare comprehensive plans and other development Planning documents for the consideration of the Provincial Development Council. Analyze the income and expenditure patterns, and formulate and recommended fiscal plans and policies for consideration of the Finance Committee of the LGU concerned. Exercise supervision and control over the secretariat of the Provincial Development Council. hope and thankful to this goals and objectives i knew it’s hard to meet perfectly on its performance but i believed with our prayers it will come out perfectly.